Today, Xiaomi has launched the new selfie-focused Redmi Y2, at an event in New Delhi, India. It is the successor to the existing Redmi Y1 and comes with improved specs and camera capabilities. Mr. Manu Kumar Jain, head of Xiaomi India, shared many new updates about the brand as well as the new Selfie King from the company. Xiaomi now has 60% market share and is the market leader as far as the online sale are concerned while in the physical retail segment Xiaomi it has a 13% share. Samsung still has 34% share in the retail market and is the leader in Offline sales. However, in terms of overall market share Xiaomi commands over 30% share and is in the number 1 slot. 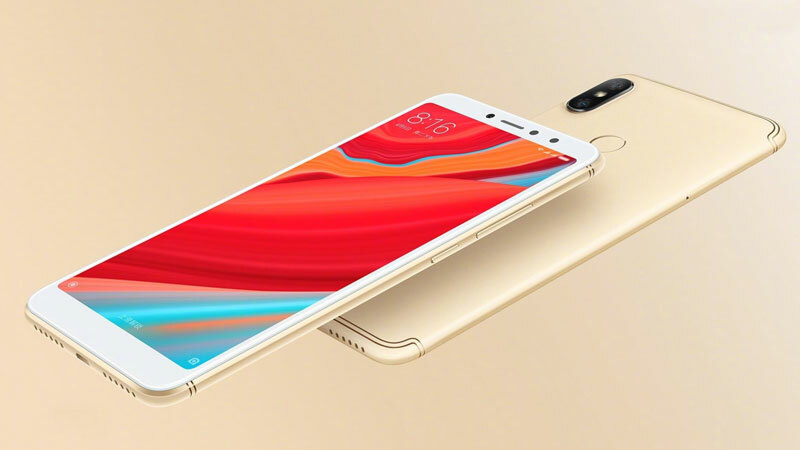 To recall, Xiaomi launched the budget selfie phone (Redmi S2) in China on 11th May, and the company is claiming that it is the best Redmi Selfie phone. Now the same phone is launched in India as Redmi Y2. The phone is launched in two variants in the Indian market, 32 GB / 3 GB Ram version costs Rs. 9,999 while the 4 GB /64 version will set you back by Rs. 12,999. Pricing looks aggressive as always and the phone is bound to do well in this selfie obsessed market. Xiaomi is now hitting Vivo and Oppo where it hurts the most. Let’s have a look at what Redmi Y2 has to offer to the Indian buyers. For starters, the Redmi S2 comes with a 16 Megapixel front selfie camera that comes with insanely large 2-micron pixel size. The sensor combines four smaller pixels to form a large pixel for capturing more light during the low light conditions. Besides, it comes with AI camera with portrait mode, smart beautification, and Front HDR. Also, The front camera is capable of recognizing faces to unlock the device using face unlock technology. At the back, it has Dual rear cameras that look similar to the Xiaomi Redmi Note 5 Pro. However, the primary lens has 12 MP resolution ( f/2.2 aperture) while the second lens has a 5 MP resolution. There is a Dual Led flash, portrait mode and HDR support for the rear cameras. Below is the sample shot taken on the Xiaomi Redmi Y2 and you can observe some blurring happening at the edges. I believe the Mi A1 with 12 MP Dual cameras has slightly superior Bokeh mode even in comparison to the RN5 Pro or the Y2. The phone has a polycarbonate build with a metallic surface finish and has Antenna lines on top and bottom edges, similar to the iPhone 6s. Besides, there is a finger scanner that resides at the back; the front side has a minimalistic design. The phone weighs 170 grams and has a thickness of 8.1 mm. The Redmi S2 runs on MIUI 9.5 along with the Android Oreo 8.1 OS. Also, Xiaomi has unveiled the MIUI 10 for the global markets at the event, so far the MIUI 10 was available only in China. Another key highlight of the device is its 5.99 inches, 18:9 aspect ratio display that comes with HD+ (1440*720 pixels) resolution. Notably, it comes with slightly lower 71% NTSC Color Gamut and the screen has a maximum brightness of 450 nits. Powering the phone is tried and tested Snapdragon 625 Octa-Core processor that comes with Adreno 506 GPU. Now the Snapdragon 625 is 2 years old but it is still a much better processor in comparison to many other SOCs. Aforementioned it comes with either 3 GB Ram and 32 GB storage or 4 GB Ram / 64 GB storage. Also, it offers dual sim support and even has a dedicated memory card slot to expand the storage up to 256 GB. Further, it comes with standard connectivity options such as Dual Sim, 4G VOLTE, Wi-Fi, Bluetooth, Micro-USB port and even has the 3.5mm headphone jack. Lastly, the phone runs on a 3080 mAH capacity battery that is sufficient to last it all day. It is not clear at the moment if it offers fast charging support. Notably, it will go on sale on Amazon India and Mi.com on 12th June in gold, rose gold and silver color options. 16 Megapixel Selfie Camera With AI and Portrait Mode.